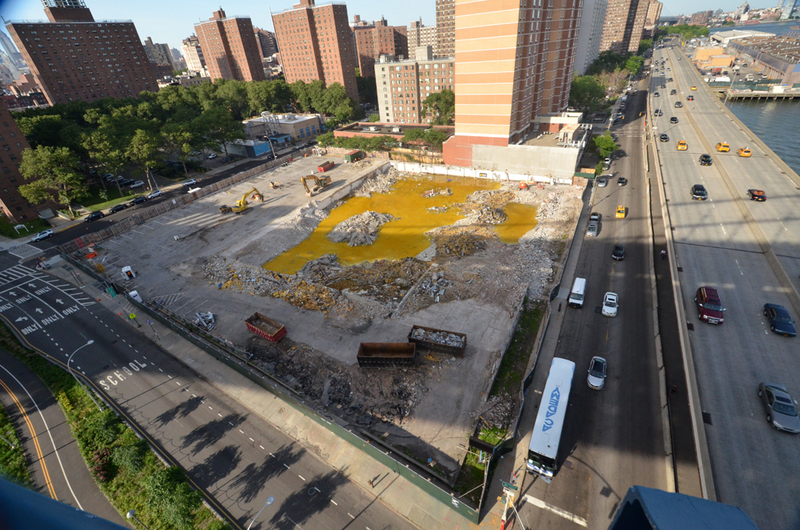 If Gary is building a lame box at a world-class site like 217W 57th, we'll get a lousy GHW box in this dump. It could also be an opportunity for another 8 Spruce. If Gary went cheap on the Nordstrom site, don't expect much here. It's good they're showing this future landmark to the tourists on the tourist buses. As of last week, demolition was close to complete. was this supermarket built on top of a large puddle of toxic sludge? Landfill. East River creep. And remnants of Friday's deluge. Looks like a bunch of taxis melted. That is mighty yellow. That diagram does not look promising. 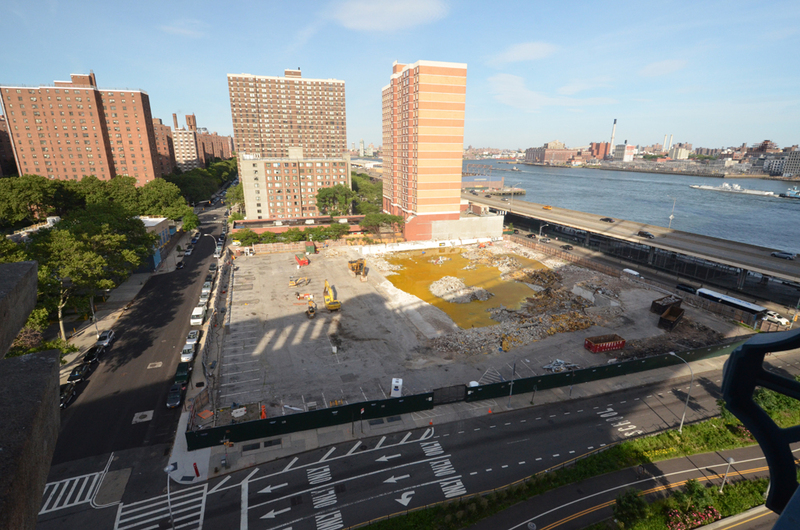 Groundwork continues on Extell Development’s 847-foot-tall mega-rental complex at the foot of the Manhattan Bridge. Rumored to be called One Manhattan Square, the project at 250 South Street will bring a staggering 790 luxury rentals and 205 affordable units to a remote section of the Two Bridges/Chinatown neighborhood. 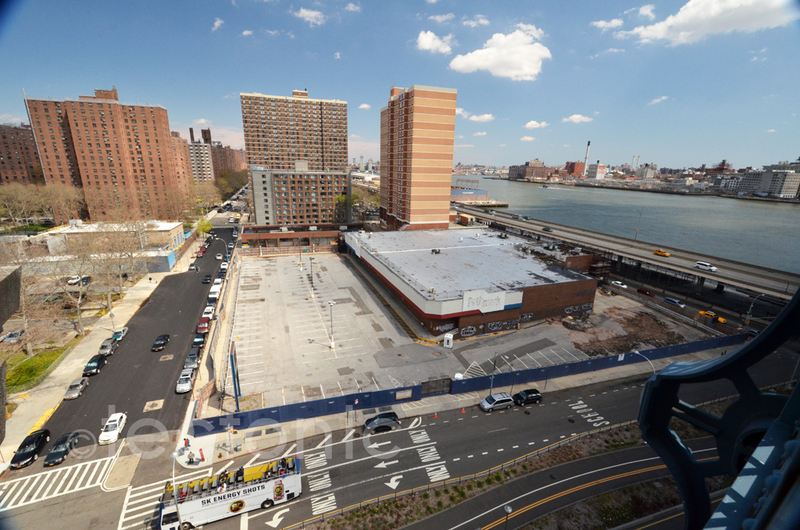 The project rises on the former site of a cherished one-story Pathmark supermarket and its sprawling parking lot. As per the DOB diagram, that may be the actual design.